Sort file:- Walmer, February, 2019. 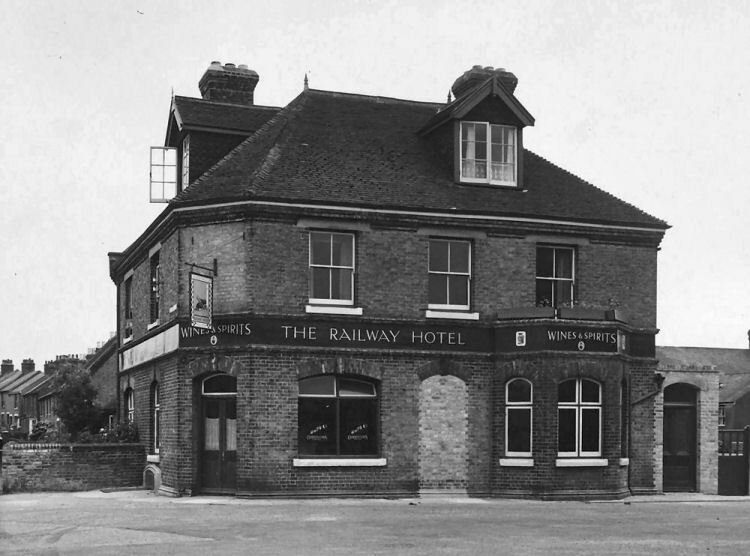 Above picture is of the "Railway Hotel." Circa 1905. Above postcard, circa 1930, kindly sent by Rory Kehoe. All photos and sign left by Paul Skelton, 13 July 2008. 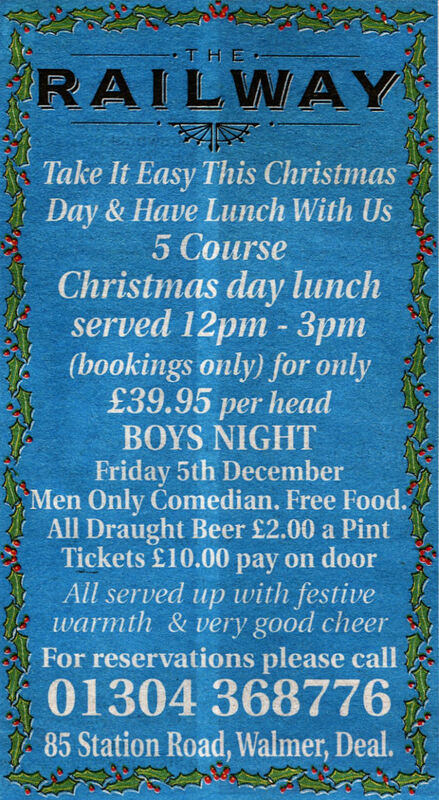 From the Dover Mercury 4 December 2003. 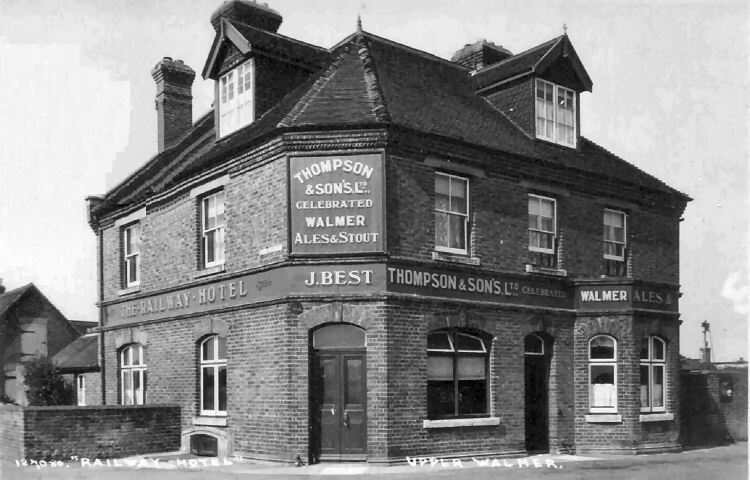 Messrs. Thomson and Son, brewers, made an application for a provisional license for an hotel to be erected near the proposed Upper Walmer station on the Dover and Deal Railway, in the parish of Great Mongeham. The house and stable will cost £1,070. 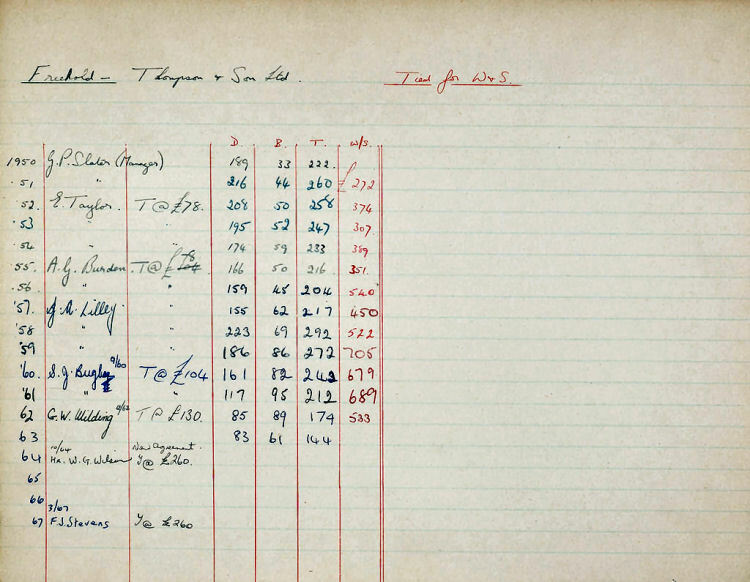 the applicant said he had a memorial signed by the vicar, churchwardens, and overseers, and that there was no public-house within a quarter of a mile. Mr. Fry, architect, of Dover, produced the plans of the hotel. The provisional license was granted. 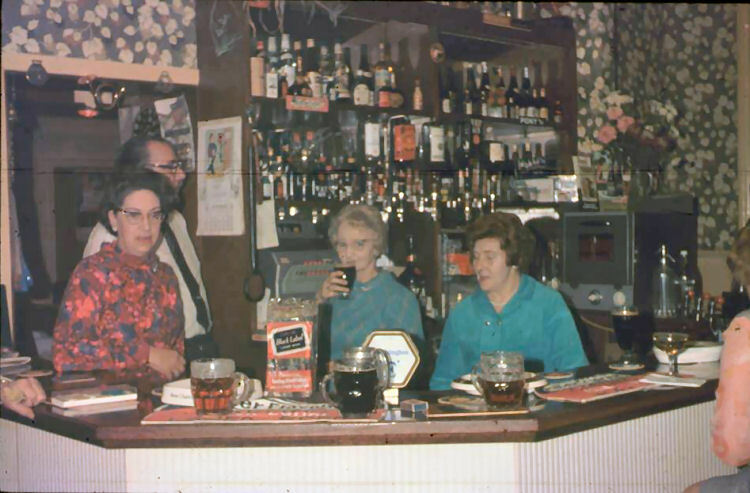 I have been informed that the pub is closing on the 1st March 2016. 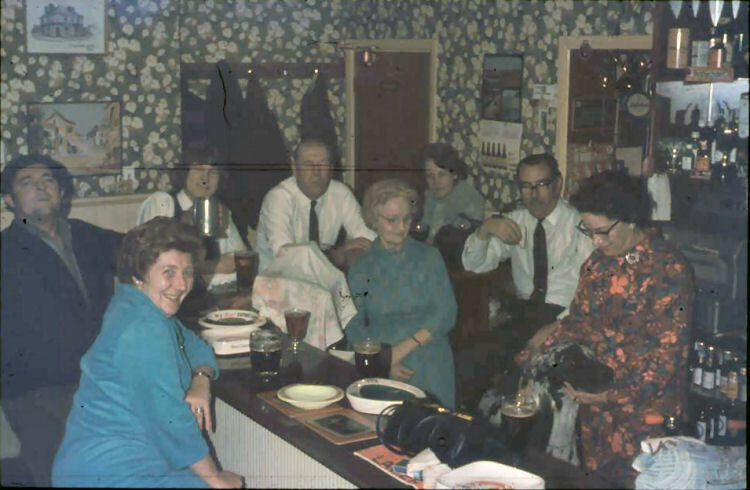 Latest news of 14 May 2016, informed me that the pub had sold at auction for £470,000. As of June 2016 I understand that planning permission has been submitted for the approval to the demolition of the building. From the Dover Mercury, 23 June, 2016. End of line for Railway if demolition approved. 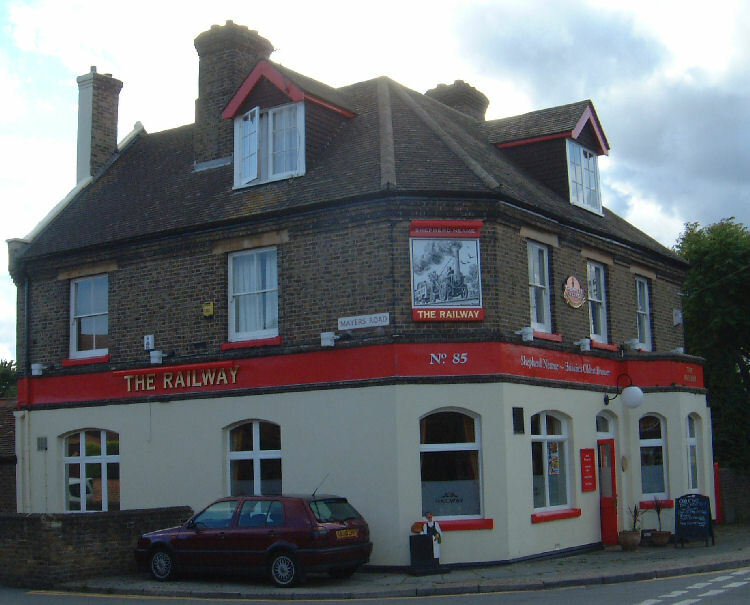 An application to demolish The Railway pub in Walmer is seeking approval from the local authority. The pub in Station Road, which went under the hammer at auction in May, could be demolished by July 15. According to the architects Beanland Associates Architects Ltd, the building will be manually dismantled to make way for redevelopment on the site. 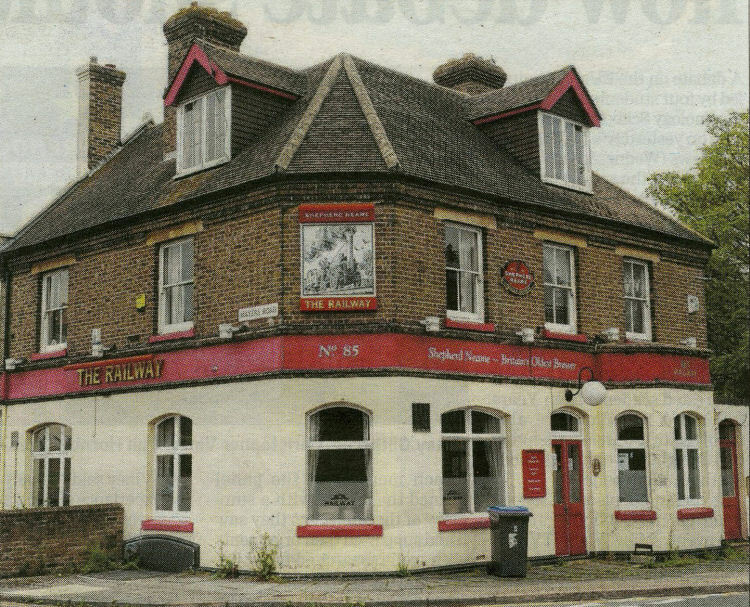 The establishment, containing six rooms, a kitchen, dining room and two bathrooms above the ground floor pub, had a freehold guide price of £225 to £230,000, when it appeared at auction with Clive Emson. Trees on the site have now been pruned or felled by the owner in preparation for the works, should they be approved by Dover District Council. A nearby resident Esmari James has raised concerns that wildlife and particularly birds will be affected by this. Andy Steele, press spokesman for DDC said: “We have received an application for prior approval for demolition at the Railway Inn in Walmer, which we are currently considering. 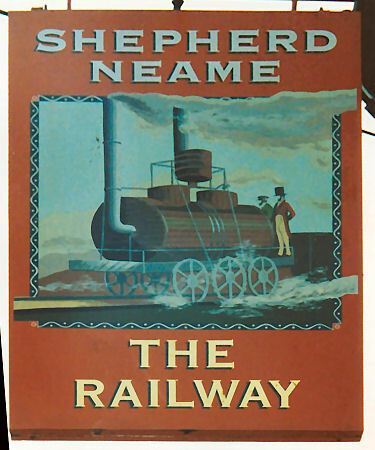 The Railway went under the hammer at auction in May and could be demolished in July. 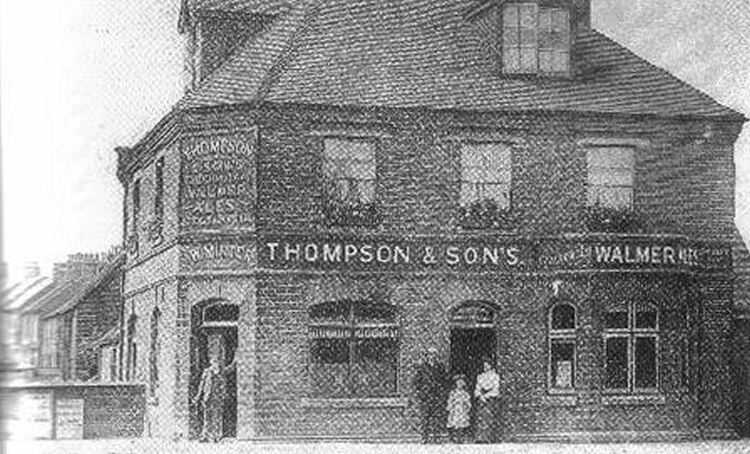 Above two licensees also had the "Mill Inn," Deal and Stevens also was named as licensee of the "Rising Sun," Kingsdown. 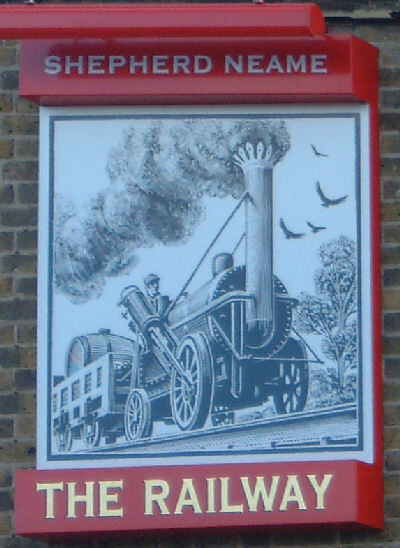 CLARKSON Mr Michael 16/May/2010+ name changed to the "Railway" without the hotel prefix around the 4th May 2011.